Wanted: global spiritual leader, God’s representative on earth, Latin and crisis management skills essential, company car and hat provided, Catholics preferred. 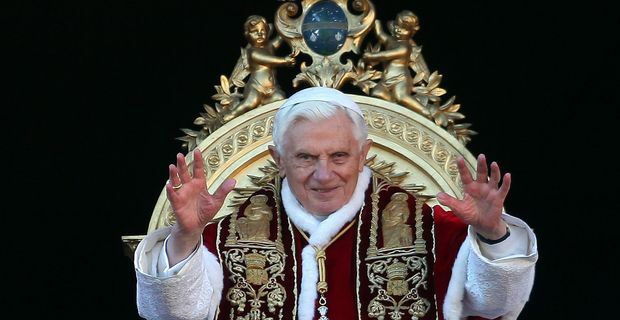 The situations vacant included one rather high-profile opportunity after Pope Benedict became the first Pope to dip into his pension fund for six centuries. In the Vatican they don’t put it quite so vulgarly, preferring the Latin phrase "sede vacante" although that actually does mean situation vacant. Benedict said his farewells to the faithful in St Peter’s Square. It is not clear whether the cardinals threw him a retirement party. Probably unlikely. "The Pope is not the only steersman in the barque of Peter," Benedict said, showing the habitual talent for pithy phrasing that in no way suggests he is an ancient and out-of-touch prelate struggling to cope with steadily rising tide of revelations about sexual misconduct in the Church. His farewell address in the square was surprising in places. He seemed to lament that a Pope had no private life. "He who assumes the Petrine ministry no longer has any privacy," he told 50,000 Pope fans, sounding like some celeb fed up with being papped. "He belongs always and completely to everyone, to the whole church. His life is, so to speak, totally deprived of the private sphere." What’s Latin for "well, duh?" For British Catholics, the Pope’s resignation was overshadowed, shocking to say, by the simultaneous resignation of the UK’s Catholic leader Cardinal Keith O’Brien. The cardinal had railed for decades about the evils of homosexuality before a resignation provoked by revelations about "inappropriate" approaches to priests. In the Anglican Centre in Rome, prayers were said for the departing Pope, before a strident sermon on hypocrisy, making pointed reference to church leaders. It was an unedifying but pertinent end to Benedict’s papacy. Clearing up a few crucial points of detail, the Vatican confirmed that the retiring Pope will have to give up his red shoes but could keep his white cassock. That’s nice.